Mishary Rashid al-Afasy @ ICNA Next Year? If you don’t know who he is, click here to read up on him. After listening to a couple of recitations and nasheeds by him, he sounds pretty good mash’Allah! 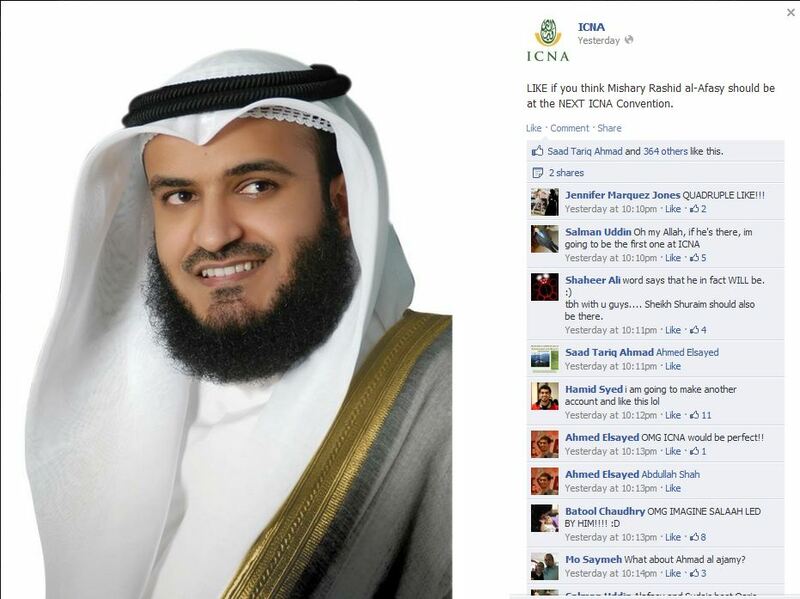 This brings up a good question up, who would you want for the next ICNA convention!? There are numerous of good speakers, nasheed artists, reciters, etc. but here a couple I see that could fit in well, what do you think? Vote and discuss in the comments! Previous Previous post: NFL Players @ ICNA, Al-Maghrib and with the Muslim Community!